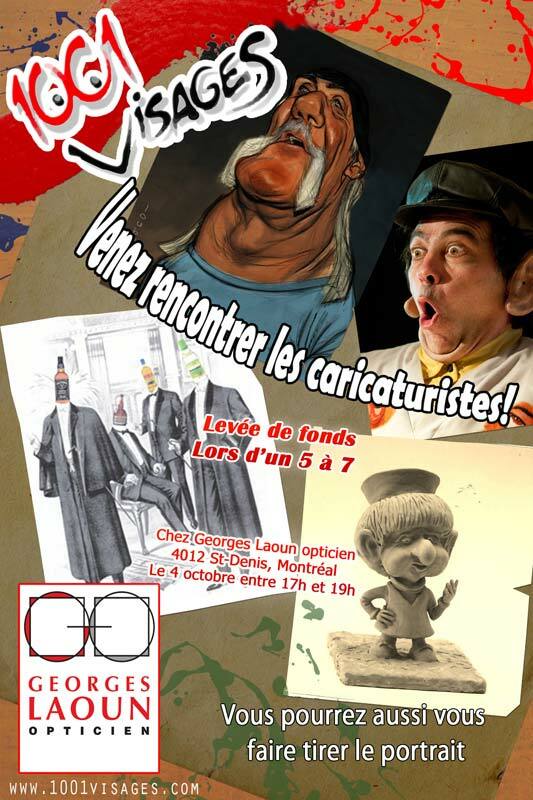 Saturday, Sunday and Monday, 8, 9 and 10th of October, 2016: 1001 Visages de la Caricature Festival will take place at the community center of the church in Val-David. 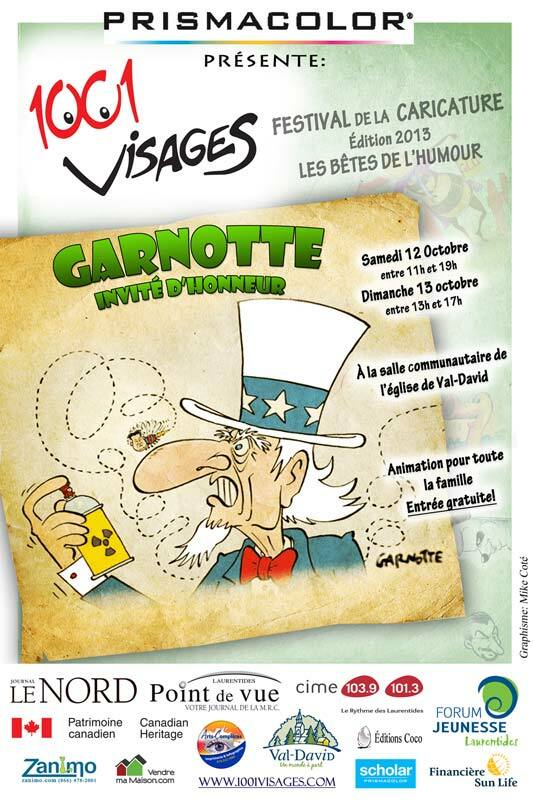 During this 11th edition, we are pleased to welcome several great professional cartoonists who will demonstrate their craft and exhibit their work. 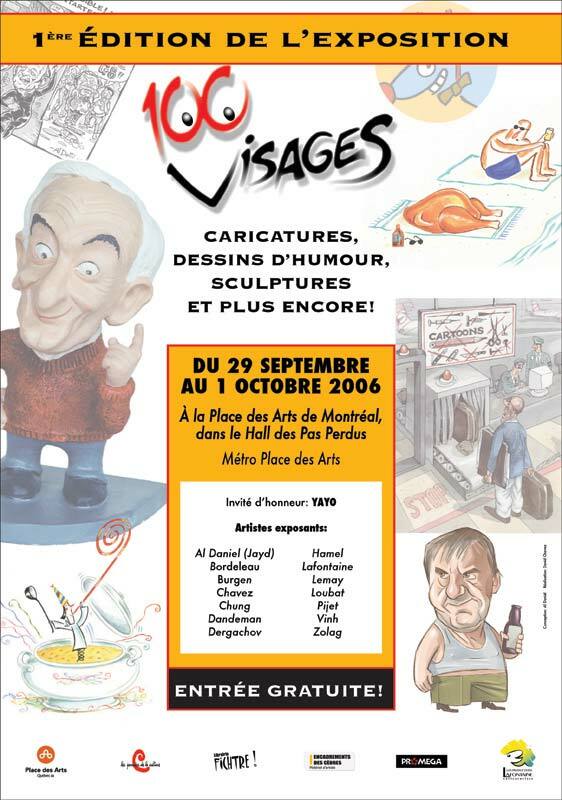 After 10 years of growth, the 1001 Visages event is getting on the map and a greater number of artists are now attending the festival. 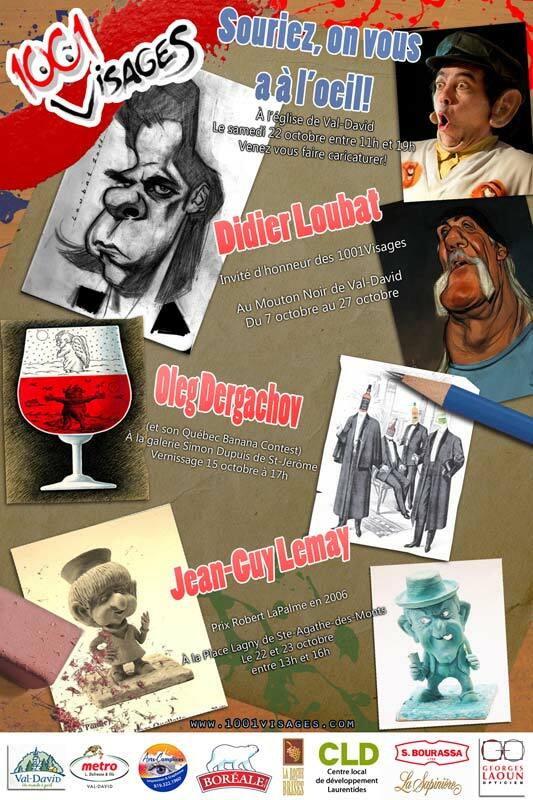 In 2016, we will be hosting artists from Ontario and Europe. 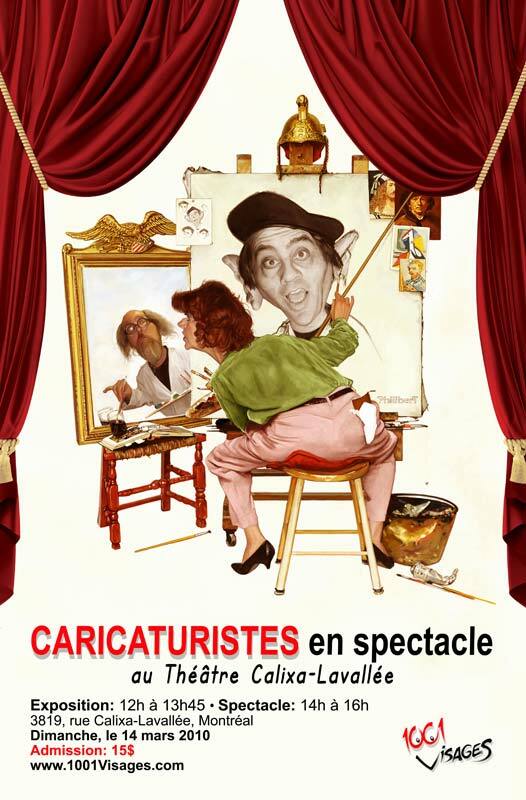 The framework for exhibiting will once again be a unique one. 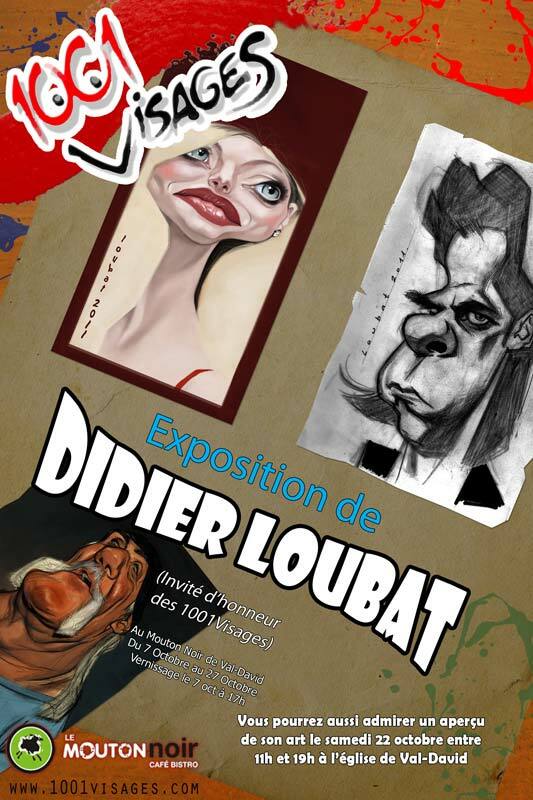 This time Yves Demers has innovated with his latest creation for exhibiting artists’ work… an air gallery! 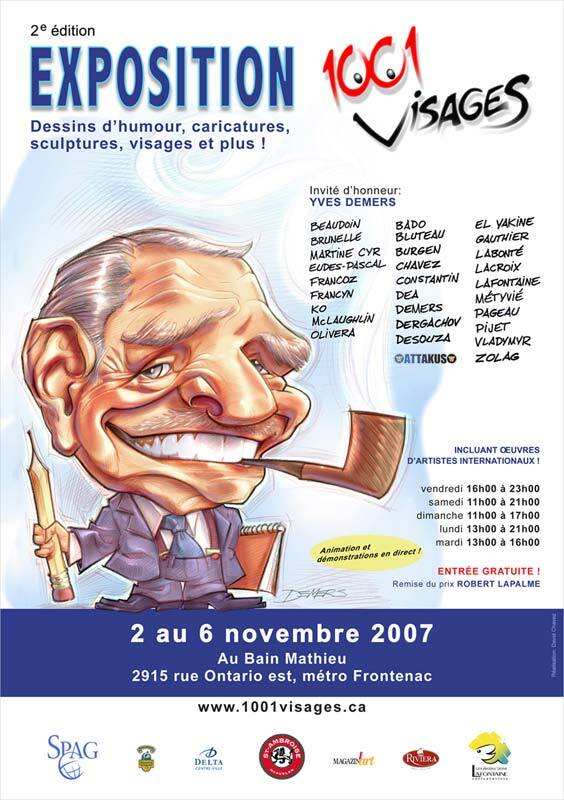 Yves has regaled us annually with his original structures, never-before-seen frameworks such as his nested circles in 2015: PHOTO OF THE EXHBITION 1001 VISAGES 2015. 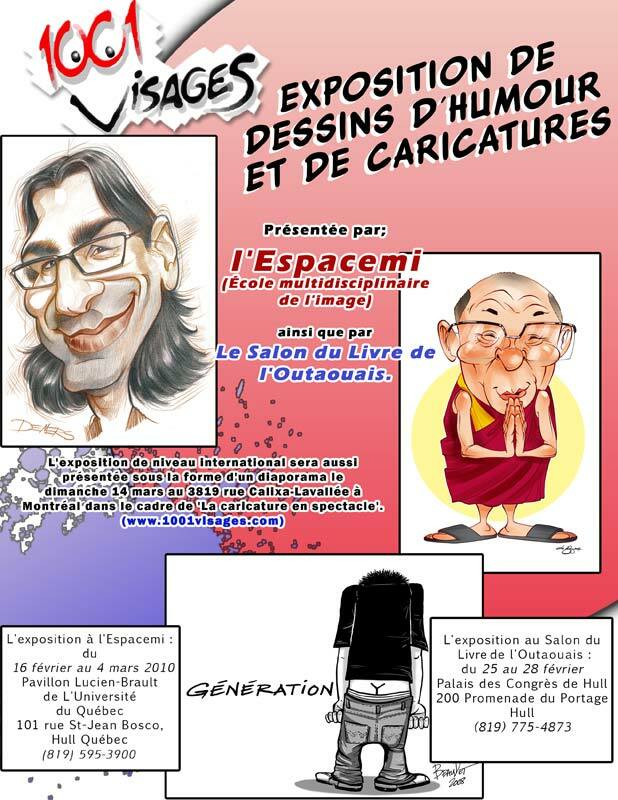 We’re pleased to announce the presence of André-Philippe Côté for the first time in Val-David, known as being one of the most talented in his profession through his unique style, the quality of his gags, an ability that defines the very essence of being a good caricature artist, and the versatility of his painting and cartooning. 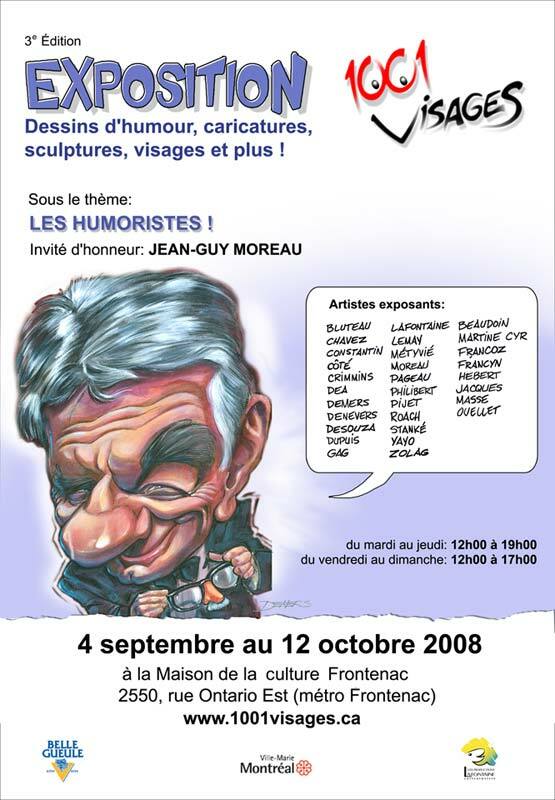 Truly a remarkable artist, he’ll be on site to meet with the public on both Saturday and Sunday. 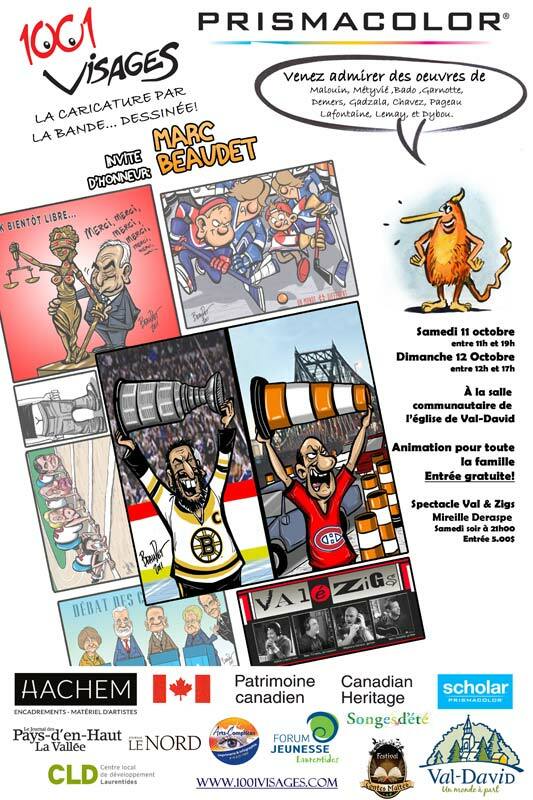 Also, for the first time since our establishment, we will present Serge Chapleau and Toronto based professionals Graeme McKay, Sue Dewar and Wes Tyrell. 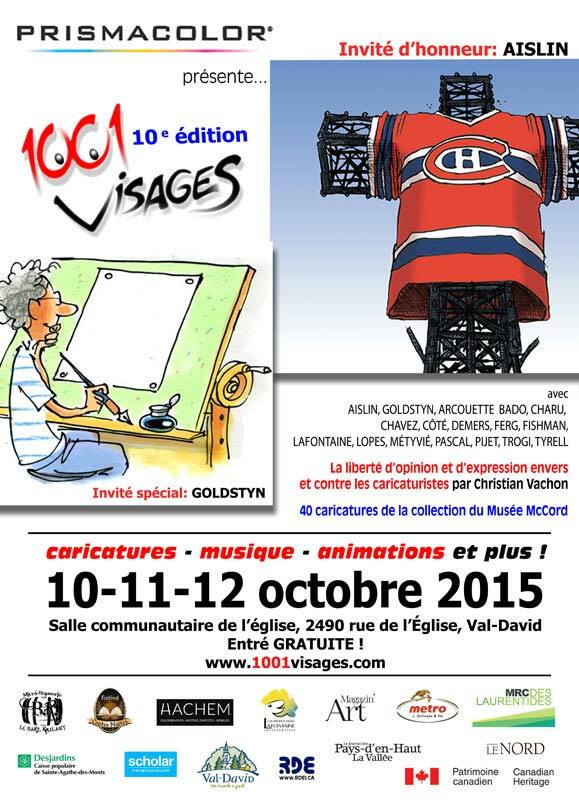 The Festival 1001 Visages de la caricature will be held at the community center of the church in Val-David Friday, Saturday and Sunday October 8-10, 2016.